Here is some of the feedback we have got from clients over the years. On the projects pages you can see individual feedback according to the project installation. 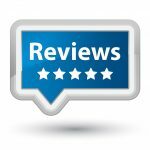 If you would like to leave a review, you can choose to leave one on this page or you can go to our google listing and add a review there. We always appreciate feedback from our customers.